One of the hardest things about going on holiday is deciding what to do once you get there. 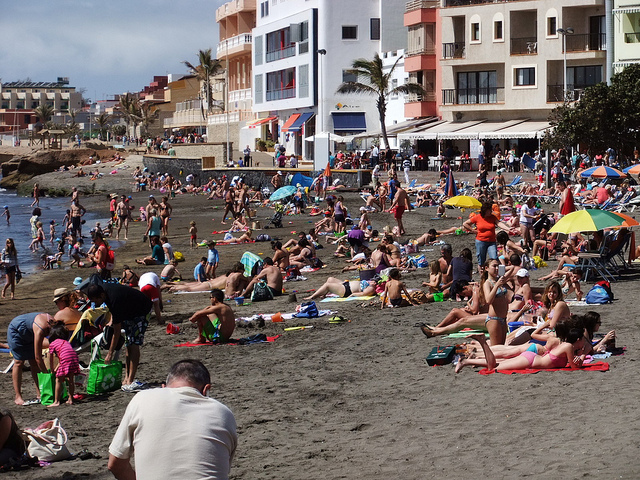 But if you’re planning a trip to Playa de las Américas in the near future, help is at hand. We asked our lovely community on Facebook and Twitter for their handy tips, from the best beaches to the liveliest bars. This is what you came up with. The perfect place for a family day out, this water park is great for cooling off in the hot Canarian sun. 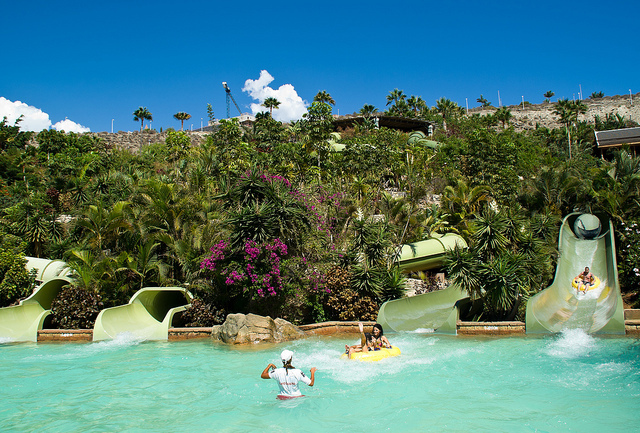 The pools, slides and flumes here will keep you splashing about all day. Another fun-filled water park, Aqualand in Costa Adeje also features a Dolphinarium with a magnificent daily show. You’ll also find the usual slides and flumes (including the stomach-churning kamikazes) for the adrenaline junkies. Animal lovers are guaranteed to have a great time here. This star attraction in Tenerife allows you to get up close and personal with a variety of creatures from parrots to penguins. There’s also an aquarium to enjoy, as well as several shows and exhibitions throughout the day. If you’re feeling energetic, why not swing on by (get it?) to this popular golf course on the island? The 18-hole course is a wonderful setting for a round of golf with the sun on your back. 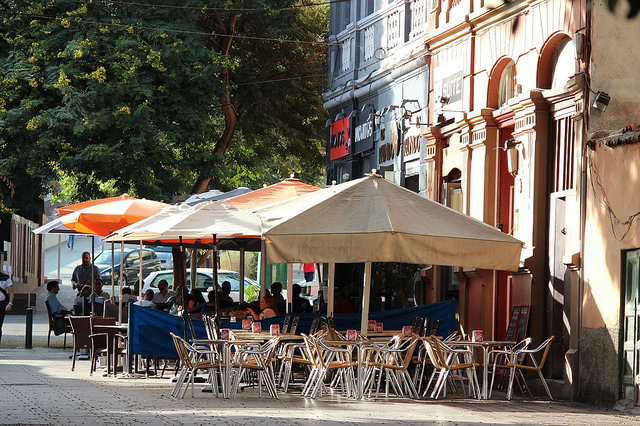 The number one venue in Tenerife for fans of Rangers Football Club, this bar – opposite Pueblo Canario – features every Rangers game live, as well as tasty food, karaoke and live music. A great option for food and drink, this bar also caters for the kids so the whole family can enjoy a night out here. The large selection of steaks are always a hit, while the Asian-style décor makes it a chilled out place to spend an evening. Located just two minutes away from the beach, many of you love to soak up the atmosphere in Leonardo’s Bar. There are plenty of TV screens here to watch the footy or the latest TV shows, as well as live music and a resident DJ. This typical Irish pub in the heart of Las Américas offers live music and a welcoming atmosphere. The entertainment really gets going here after 9pm with bingo, karaoke and music including local performers impersonating everyone from Freddie Mercury to Ronan Keating. Another typically British bar, Brewer’s Droop offers great music and reasonably priced drinks. You’re also likely to encounter one of the biggest cats you’ll ever see here, who can often be found casually sitting on the bar. Fancy a late one? This is the place to be. Enjoy a dance and a boogie at this lively club in Puerto de la Cruz which stays open long into the early hours of the morning. A great option for fans of soul music, you’re guaranteed a good night at this bar – there are fantastic soul acts performing almost every night of the week. This sandy beach, sheltered by a harbour, is perfect for the whole family. There are plenty of activities to enjoy, from water sports to beach volleyball, as well as a children’s play area. Situated between Las Américas and Lis Cristianos, this man-made beach is relatively quiet with plenty of sunbeds and umbrellas to hire. 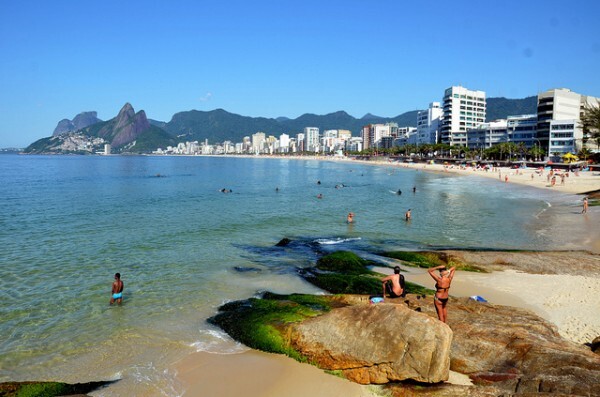 Have a wander around the harbour or take a stroll along the promenade with its many bars, restaurants and souvenir shops. Off to Benidorm? You helped us compile a list of things to do there, too! Thanks to everyone who helped us put this post together: Ian Chambers, Rebecca Maund, Fiona Marshall, Evad Maharg, Heather Coates, Christine ODonnell, Stanley Pietrzyk, Tracey Watkins, Lesley Alldridge, Michelle Howle Freudenau, Zoe Foster, Rachel Blythe Wrigley, Sarah MacDonald, Charly Tootsie Kate, Iren Mineva. Do you know of any other must-visit places in Playa de las Américas? Let us know your top tips.